Are you using our lesson plans? Do you have any questions or comments? We'd love to know more about you and keep you posted on events for educators. 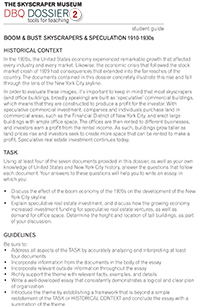 Lesson 1: What is a Skyscraper? 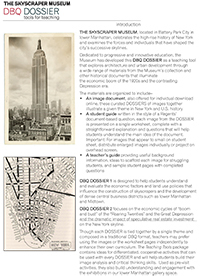 Students inductively discover the characteristics of skyscrapers as they complete a "Skyscraper Detectives" activity that invites them to examine an array of the Museum's archival images. 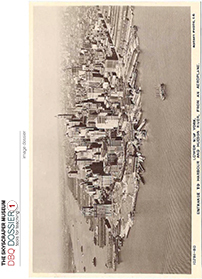 Students examine archival photographs of the Empire State Building site and explore its construction. 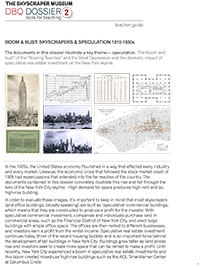 Through analysis of primary source documents, students develop a sense of the scope of skyscraper construction. A variety of exploration stations allow students to explore principles crucial to skyscraper construction. They concurrently learn the terminology and parts of a skyscraper, and practice using these terms with images. 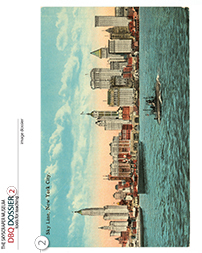 Students practice close looking skills using images of the Manhattan skyline from three different time periods. They infer the likely changes that transpire in a city over time, and create their own imagined skyline from a time period either in the future or the past. Collected here are highlights from the Museum's extensive archive of green multimedia. Classes can explore this material as a group, or individually - either as enrichment or as part of a lesson. Students should notice the changes in building that is leading to more environmentally friendly cities, and consider what green innovations they see in their own lives. 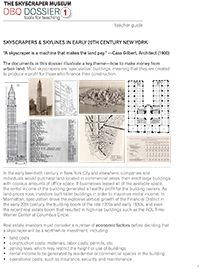 Books selected by The Skyscraper Museum enhance and enrich student learning about skyscrapers, complete with suggested activities. Students learn about the real, vertical race to the top of the Empire State Building and then use a chart of race results to solve an array of challenging mathematics problems. This engaging activity can be used in a single class period or a take-home activity. 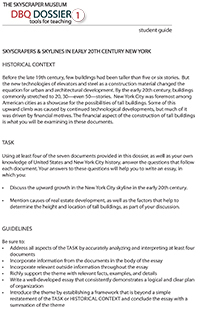 The documents in this DBQ vary in their level of difficulty, but prompt the students to write an essay about the Empire State Building.